Community Resource Book – Interlink, Inc.
for elders and people with disabilities in the LC Valley. Printed copies available. $3 each for black & white. To order call 509.751.9143 or email volunteers@interlink-volunteers.org. Interlink updates this online resource as needed. Please email your changes to volunteers@interlink-volunteers.org or call call our office at 509.751.9143. Thanks all those who have supported the Connecting Community Resource Book, which is a newly revised Resource Guide for the Lewiston/Clarkston area. 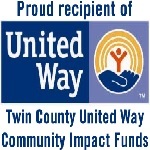 We specifically wanted to thank the support from Twin County United Way, the Continuum of Care Coalition, and Interlink for bringing it all together. Interlink, Inc. works to enable elders and those with disabilities to live independently in the Lewis-Clark Valley.